What is the South Australian virtual power plant? The South Australian government’s recently unveiled plan to create a 250 MW virtual power plant (VPP), encompassing a network of at least 50,000 home solar and battery systems, utilising Tesla technology, has brought further attention to the evolving nature of the electricity market. Hailing it as “the world’s largest” VPP, in releasing details of the plan the government stated that Frontier Economics analysis shows that the “plant is expected to lower energy bills for participating households by 30 per cent”. “Additionally, all South Australians will also benefit from the increased generation in the South Australian energy mix, with lower energy prices and increased energy stability,” the government stated. The new initiative follows last year’s installation of “the world’s largest lithium-ion battery”, comprising a 100 MW Tesla Powerpack system connected to the Hornsdale Wind Farm, near Jamestown in South Australia. As with last year’s project, the government’s VPP initiative highlights the growing role of renewable energy and battery technology in the energy mix. VPP technology brings with it the potential to diversify the market and promote more efficient energy management. So, what are VPPs and what do consumers need to know about the technology? How does a virtual power plant function? Virtual power plants (also sometimes referred to as virtual power stations (VPS), have the capacity to integrate diversified small-scale generation, bringing together a network of solar and battery systems, which are collectively managed. Solar and battery systems that make up a VPP operate at both a household level and as components of the wider electricity grid. The South Australian government advises via its Our Energy Plan website that a VPP “is created by a network of home solar photovoltaic (PV) and battery systems all working together to generate, store and feed energy back into the grid”. Amid the continued development of solar and battery technologies, VPPs deliver the potential to change the nature of the electricity market, providing an alternative means of managing supply and demand, helping to establish new market models. The technology involved also brings with it the promise of greater household energy autonomy, while smart features, such as online and app monitoring and management, can provide consumers further insight into electricity usage. What does the South Australian VPP plan involve? The South Australian VPP will comprise a network of at least 50,000 home solar and battery systems, installed with smart meters, across the state. The initiative is commencing with a trial of 1,100 Housing Trust properties, comprising installation of a 5 kW solar panel system and 13.5 kWh Tesla Powerwall 2 battery, to be undertaken at no charge to the household, with the government stating that it will be financed through the sale of electricity. The government has advised that following the trial, systems are set to be installed at a further 24,000 Housing Trust properties, with a similar deal to then be offered to all South Australian households, with a plan to reach the 50,000 number over the next four years. Subject to the success of the trial phases, the government states that the first installations at private properties will be undertaken from 2019. The government is releasing a market notice for a retailer to deliver the program, with it advising that its preference is for a new player to be brought into the market. Households interested in participating in the program can register interest here. Of course, the implementation of VPPs has been made possible not only by advancements in solar and battery technologies, but also by continued consumer interest in the technologies and their potential economic benefits. Solar technology has become increasingly utilised in Australia in recent years and is poised for further growth. 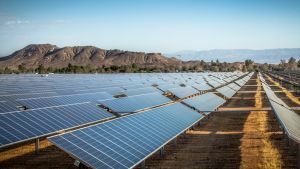 A report released last year by the Australian PV Institute found that the market for PV installations had grown to over 6 GW in 2016, with it on track for over 10-12 GW by 2020. Meanwhile, residential battery storage technology is becoming an increasingly economic proposition for households amid continued development of the technology and the concurrent driving down of prices. A number of companies are involved in the growing sector, and the market has seen more entrants in recent years. Dependent upon the technology, battery systems may be retrofitted to existing solar panel systems, or purchased as a package with solar panels. Paired with solar, battery technology is delivering consumers an increasing range of options. The residential energy storage sector is poised for growth, and it is certainly worthwhile keeping an eye on the market, as new innovations, such as VPPs, and other models are developed and deployed. While the South Australian government’s plan has thrust VPPs into the public consciousness, there are a number of other initiatives also currently being undertaken in Australia. AGL Energy advised in March 2017 that its VPP project, being rolled out across metropolitan Adelaide, had gone live. AGL advised that, once complete, the VPP will be comprised of 1,000 connected batteries, with the project, employing “a cloud-connected intelligent control system that allows the batteries to be directed in unison”, being rolled out in three phases over about 18 months. CSIRO has also been investigating the potential of VPP technology in managing power supply and demand. 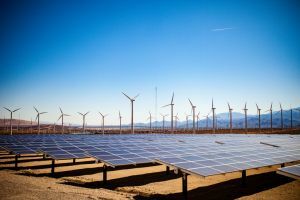 “Our technology intelligently links dispersed renewable energy generators – such as household solar panels – load control, and energy storage systems to create a single ‘virtual’ power station that can feed into the electricity grid,” CSIRO states. 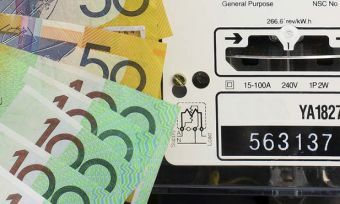 Having received Australian Renewable Energy Agency funding, CSIRO last year advised that it was trialling a VPS in the Brisbane suburb of Yarrabilba in collaboration with Energy Queensland, LendLease, inverter manufacturers SMA and Selectronic, and electric vehicle charger manufacturer Tritium.